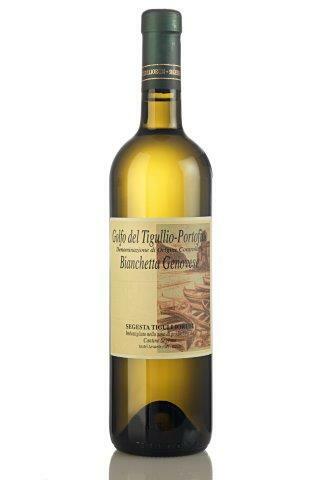 Produced by ( Cantine Bregante - LIGURIA ). The Roman called it Segesta, now Sestri Levante. From an ancient grape variety indigenous to this region, a barriqued white of rich golden hues, medim-bodied, tasting of quince, white flowers with plenty of minerality. Sapid. Left on its lees for 2,3 months, then cleared by precipitation only. Cantine Bregante coordinates over 40 tiny growers to select and supervise vinification of an interesting array of wines with a local pedigree.